Choosing the right shoes to wear with jeans can get tricky. While some types of footwear seem like an automatic match with denim, other pairings are a bit more of a challenge. Our goal is to help inform your decision-making process with this guide to the best shoes to wear with jeans. We’ll review a variety of shoes, including the Skechers Palen Gadon Oxford and take a closer look at some things to keep in mind when you’re wearing shoes with more casual wear. Think about where and when you’re going to pair your casual or dressier shoes with jeans. Even it’s a casual occasion, like a night on the town or a laid-back party with friends, you still need to choose wisely: for instance, you wouldn’t wear dress shoes with faded (or even ripped) jeans. Or, some casual shoes don’t look as good with tapered, slim fit jeans as others. 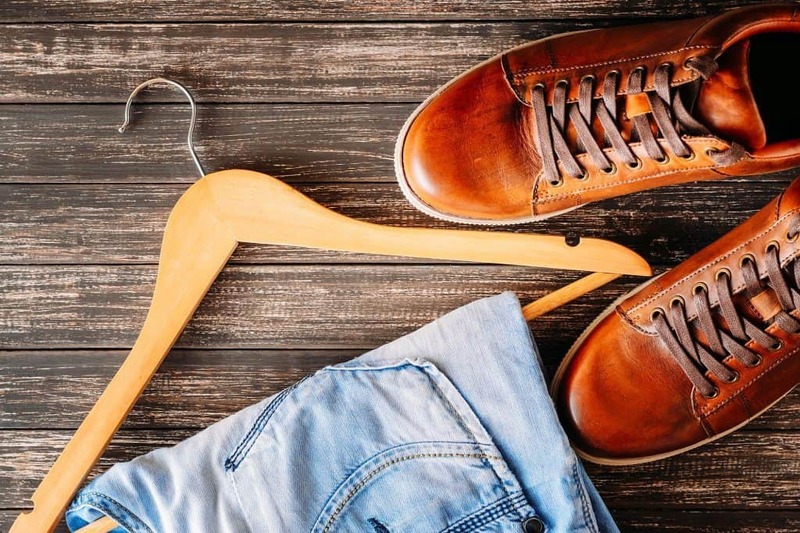 We’ll talk more about how to wear casual or dress shoes with jeans later in this article, but the color of your shoes is something else to keep in mind. While the majority of dress shoes come in brown or black (but not exclusively so, by any means), casual shoes come in a wide range of colors and designs. Bright colors and the like may add a bit of needed flair to your wardrobe, but make sure you wear them in the right environment. While your workplace may welcome business casual wear, you don’t want to go overboard either. Material means a lot when choosing any shoes, including those you plan to wear with jeans. Casual shoes can consist of several types of materials, but leather, suede, and canvas are most common. Leather and suede casual shoes look good any time of the year, while canvas shoes are most popular in the spring and summer – although they’re not necessarily limited to those seasons. Leather is your go-to option for dress shoes and there are several types of leather from which to choose: full-grain, top-grain, patent, pebble grain, and more. Full grain leather is the best of the lot, while patent leather is a great choice for formal events, such as weddings (who among us hasn’t worn tuxedo shoes?). The type of lacing – closed or open – is another factor to consider when buying dress shoes. Open-lacing shoes have the piece with the lacing eyelets attached to the top of your shoe’s vamp (the entire part of the shoe that covers your foot), while the eyelets of closed lacing shoes attach under the vamp. In general, closed-lacing shoes are often very dressy and don’t pair as well the jeans as opening-lacing shoes, which tend to have more versatility. You can wear open-lacing shoes with casual and dressy pants. Comfort is king when it comes to the soles of most shoes. Casual shoes tend to have a well-cushioned heel and often an additional layer of cushioning in the midsole for extra comfort. The soles of dress shoes should also provide a layer of comfort, as well as traction and stability. The soles of most men’s dress shoes consist or rubber, crepe, and leather. On a stylistic note, darker soles, particularly on casual shoes, have a dressier look than white or light soles. Even the coolest-looking shoe – one that pairs seamlessly with jeans – loses its appeal to the wearer if it doesn’t fit properly. That’s why it’s essential to size your shoe correctly; if you’re buying your shoes in a shoe store, ask a professional to size your feet. In some cases, one foot may be of a slightly different size than the other. The best time of day to try on shoes is in the later afternoon or early evening because your feet naturally swell during the day – a shoe that fits comfortably in the morning may be too tight when you try it on later in the day. Also, either wear or bring with you the socks you typically wear with the type of shoe. Finding the right fit online is trickier, but many companies offer sizing guides, and you should carefully consider the reviews of others to gain a better understanding of a shoe’s fit. The fit for a specific type of shoe often varies from manufacturer to manufacturer. Next up, our reviews of the best shoes to wear with jeans in the coming year. The Palen Gadon Oxford by Skechers has plenty of versatility, especially when it comes to wearing it with different styles of clothes. Do you want a shoe you can wear for casual business outings without looking like your “dressing down?” A pair of Palen Gadon Oxfords will help you to attain that look. You can even wear them in a bit more formal settings with slacks and a button-down shirt. Thanks to their canvas upper, they also serve as an ideal summertime shoe thanks to their breathability. And, last but not least, they look great with jeans. In short, they easily rank among the best casual shoes for men with jeans. The Palen Gadon falls under the “lifestyle” category of Skechers shoe designs (the other being “performance”) and features the sort of comfort customers have come to expect from a company that’s become a major player in the footwear industry. It has plenty of other features we like, including Oxford-style lacing that helps add to its already dapper appeal. A gel-infused memory sole adapts to your stride and offers increased stability and comfort that you won’t find in many other shoes. It also has a wider toe box than a lot of other casual shoes, which further enhances its comfort. The Palen Gadon is versatile enough to wear with a variety of clothing, including casual and more formal events. It also provides a comfortable, roomy fit that your feet will love the entire day. Ah, the Sperry Top-Sider, iconic design and style that’s been around for over 80 years but is still going strong. The Authentic Original looks very much like the first boat shoe Paul Sperry manufactured all those years ago, proving once again that sometimes there’s no need to change an already good thing. While boat shoes don’t pair well with every type of attire – they don’t give off the best vibe in many office or formal settings – they certainly look good with jeans. Loafers work better for those occasions, but can’t match the boat shoe’s comfort and laid-back feel, especially in relaxed summer settings. You can also wear them with or without socks. Many men prefer sockless, but you can always wear a hidden sock that doesn’t show above the shoe’s upper. And, no, despite the name, the Authentic Original Boat Shoe isn’t just for wearing on a boat, although that was Paul Sperry’s intent when he first made them. They still feature a non-marking, slip-resistant rubber sole that offers plenty of stability on a variety of surfaces, including a slippery boat deck, however. The Men’s Authentic Original 2-Eye Boat shoe features 100% hand-sewn imported leather to provide superior durability and comfort. Its 360-degree lacing system has a functional design that helps create a secure, yet not constrictive fit, and includes rustproof eyelets and rawhide laces. Its Ortholite cushioning system enhances the shoe’s overall shock absorption, while it also includes an EVA (ethyl vinyl acetate) heel cup that helps take some of the strain off of your foot. 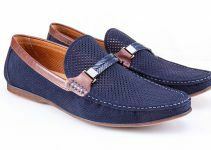 While the Top-Sider’s original color (brown) remains a popular choice among many wearers, you can also choose from a variety of colors, including navy blue. The Sperry Authentic Original didn’t get this far and retain its relevancy for no reason. It has a laid-back, comfortable style that fits many occasions. While Oxford and Brogue often mean formal, the Kunsto Men’s Leather Brogue dress shoe offers the best of both worlds: it looks good with suit pants and a dress shirt, but also pair very nicely with jeans or khakis – which makes for an easy transition from the work week to the weekend. It also earns high marks for comfort for many reasons, including its flexible rubber and non-marking outsole which is slip-resistant and durable. Classic wingtip detailing helps to give the Kunsto brogue a distinctive look, but also one that – as mentioned – is versatile enough to wear with jeans. But do keep in mind that they look best with straight leg or slim fit jeans that won’t hide the shoe’s design. The Kunsto Leather Brogue also comes with waxed laces that provide a looser, less-constrictive feel, but not so loose that you’ll feel as if the shoe is coming off. The shoe’s lining consists of pig leather and has a soft feel, while it also offers plenty of arch support. If you’re looking for superior comfort in men’s shoes that go with jeans, then take a long look at Kunsto’s Leather Brogue Oxford Dress Shoes. They also look good thanks to their classic wingtip design and are versatile enough to serve you well for many different occasions. It’s interesting how certain styles circle back around and reappear with a retro feel that somehow seems contemporary again. Such is the case with the Stan Smith Original, which was first released in 1971 and named after one of the world’s premier tennis players of that era. Today’s Stan Smith looks just like it did back when its namesake was crushing serves and backhand volleys that befuddled many an opponent. It’s also part of today’s highly-competitive “athleisure” market and easily among the best sneakers to wear with jeans. While they pair perfectly with jeans and a quality T-shirt to provide a relaxed appearance, you can also wear them in smart casual settings that call for a collared shirt and blazer. The original Stan Smith came with white leather uppers, and still do, while featuring a contrasting heel tab to add a splash of color. It also includes an Ortholite insole for cushioning while medial eyelets help increase airflow and ventilation. The rubber soles provide plenty of support, which you’d expect from a shoe built originally to withstand the rigors of a professional tennis match. The Stan Smith Original has re-emerged in the casual shoe market and become a popular choice among customers who like its retro yet-still-relevant look. It’s comfortable, durable, and looks good with jeans. The original desert boot design derived from the need to keep British soldiers comfortable in World War II as they fought in the often unforgiving environment of the North African desert. Cool, comfortable, lightweight – all were desired attributes that its originators built into their first shoes. While today’s desert boot retains many of its original design elements, it’s also become a stylish-yet-comfortable option for men who need shoes that pair well with jeans and for a variety of occasions. The Bruno Marc Men’s Urban Suede Leather Lace Up Oxfords are among the best of the lot. The Bruno Marc’s premium suede leather construction and durable manmade sole create a level of comfort that makes it easy to wear the shoes all day without foot strain or weariness. Further comfort comes from a lined cushioned footbed and a slip-resistant outsole. Among other things we like about the Bruno Marc suede leather desert boot is that you can get it with a plain toe cap, or with decorative stitching with wingtips and brogueing. They also come in their original brown color – and rate among the best brown shoes with jeans – but you have a variety of neutral colors to choose from, as well. The neutral color choices allow them to pair well with many wardrobe choices, as does the shoe’s styling options. The shoes also accommodate custom-designed insoles if you need additional support and comfort. Desert boots are a nice option whether you’re looking for something casual to wear with jeans or even business attire. They offer the comfort you’d expect from a shoe worn by soldiers in the desert of North Africa. We’ve already touched on a couple of shoes that have stood the test of time and look great with jeans. Let’s add another to the list: the Converse Chuck Taylor All-Star Low Top. Once the shoe of choice of American basketballers of any age – we’re talking several decades ago – the Converse All-Star of today represents a casual but cool fashion statement that pairs well with virtually every type of jeans. While white is the popular color choice of many Chuck Taylor wearers, you can also buy them in a variety of colors. But it’s hard to beat the look of a clean, white (and keeping them clean and unscuffed is essential) pair of Converse. There’s nothing complex about the Chuck Taylor design and never has been. It features lightweight, breathable canvas construction, while its vulcanized rubber sole delivers plenty of durable traction. Rest assured, this shoe’s design hasn’t changed from the days when it revolutionized basketball. Its OrthoLite insole adds cushioning and comfort while medial eyelets allow for a nice airflow, which users appreciate during the warmest days of summer. There’s no sense messing with a good thing and Converse hasn’t with its iconic Chuck Taylor All-Star. It’s a cool, casual shoe that can help you rock a variety of looks. Rockport’s Darwyn footwear is geared toward men and summer activities, from barbecues to pool parties to hanging out at an outdoor table at your favorite brewpub. They Xband Slide Sandals fit the bill and provide a no-fuss feel and fit with ample support and stability. Many men love the Xband Slide Sandal design because it’s a sandal that doesn’t require wearing material between your toes. It also features a leather upper that’s easy to clean and maintain, while its mesh lining wicks away moisture while creating enhanced breathability. What else? Well, it also has a latex footbed that’s extremely comfortable and truTech cushioning at the heel for extra support and stability. The durable polyurethane outsole helps reduce foot fatigue. While the leather helps give the Darwyn Xband Slide Sandal an extra touch of class, they’re best paired with jeans and shorts and definitely not dress pants. They can work with chinos, as well. You also have the Rockport name and brand to back you, which is no small thing. Rockport has a strong reputation for making casual shoes that are classy, comfortable, and excellent for everyday wear. Sandals, by nature, are meant for casual wear but that doesn’t mean they can’t have a classy look that pairs well with a variety of summer wear (including jeans). The Rockport Darwyn collection features fine footwear that combines comfort and style. Merrell’s ever-popular Jungle Moc Slip-On has a quintessential casual shoe look and feel but is tough enough to wear on almost every type of terrain, from concrete to hiking trails. The above are just a couple of reasons why the Jungle Moc is one of the best men’s casual shoes around, and why many men appreciate their versatility. They look good with just about any casual clothing, including jeans, and have a laid-back feel that belies their overall ruggedness. The Jungle Moc consists of 100% imported suede leather and features a slip-on design that includes elastic side goring to help achieve a custom fit. It also has an EVA footbed which provides superior cushioning. The Jungle Moc’s air-cushion midsole includes a breathable mesh lining that helps keep your foot cool. The heel, as befitting a shoe that’s sturdy enough to wear on a hiking trail, has excellent stability. A rubber outsole provides superior traction. You’ll appreciate that the Jungle Moc comes with Merrell’s M Select Fresh feature that keeps sweat under control and includes antimicrobial agents that kill odor-causing bacteria. You won’t have to worry about embarrassing foot stink. It’s hard to beat the versatility of the Merrell Men’s Jungle Moc. It’s stable enough to wear on all types of terrain, yet attractive enough to pair with a variety of casual clothing. Dr. Martens is a classic name in footwear and a brand favored by men for a lot of reasons, including how well they pair with casual clothes (and even semi-casual clothing). They’re also extremely comfortable and look good, which certainly doesn’t hurt, either. The 8053 adds a more “western” influenced look to the classic 5-eye Doc Martens. It’s made from 100% imported leather, features Doc Martens patented AirWair sole, and a cushioned collar for superior comfort. It also has a more rugged look than many other casual shoes but retains an Oxford-like feel that works for smart casual office settings. But you’ll love how they look with jeans and khakis. The Dr. Martens 8053 adds a different twist to a classic look while retaining all the things that make this brand a favorite of many customers. It would make a great addition to your wardrobe. The better question might be, “What shoes don’t go with jeans?” The truth is, many types of shoes look good with jeans but you have to be mindful of pairing certain shoes with certain types of jeans, as we’ll explore a little bit. For now, however, let’s look at various shoe types and why they look good with jeans, or at least with certain types of jeans. Casual shoes run the gamut from sneakers to trainers to flip-flops. All of them, to some extent, pair decently with jeans (although flip-flops typically serve as summer wear and look best with shorts). Not that “casual” means the first footwear you step into when going to pick up your laundry or another quick errand. 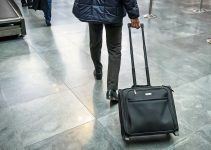 But casual shoes are something you’d wear in the right office setting (business-casual), or a night on the town when you want to look sharp but not overly formal. There’s nothing quite like the freedom of wearing boat shoes in the summer: they have a timeless, classic look, you can wear them with or without socks, they’re a quintessential summer shoe, and you’re not restricted to wearing them only on a boat by any means. Boat shoes pair well with casual clothes, including with a nice pair of jeans, but keep in mind that they look best with pants that have well-fitted, tapered, or straight leg bottoms. Also, the pant leg should reach the top of your boat shoes, but no further. Sneakers, like athletic shoes and/or trainers, have a rubber or synthetic sole that includes linen or canvas on the upper side. But sneakers aren’t always appropriate for the stress and strains of heavy physical activity, unlike trainers, which have thicker soles that provide additional shock absorption and ventilation. There’s no reason you can’t wear sandals or flip-flops with jeans, as long as you keep your feet and toes well-groomed (nothing ruins the look more than a nasty batch of toenails). Sandals work well with relaxed or average-fit jeans, including jeans of a lighter color. Like boat shoes, however, many people choose to wear sandals with shorts. So, the chukka resembles a boot, in some respects, but it also qualifies as casual footwear that looks nice with jeans. Chukkas typically consist of calfskin leather or suede, and have crepe soles that offer plenty of comfort. While it’s definitely a boot, not a shoe, the Chelsea remains a contemporary favorite long after its heyday in the 1960s thanks to the Beatles. They look great with slim jeans, and they’re comfortable to wear. The brogue is one of the most formal styles of footwear and one that has stood the test of time. Can you wear them with jeans? Yes, but stick with straight leg jeans (or even skinny jeans) that don’t cover the distinctive patterns and designs of your shoe. You can wear them rolled-up cuffs because the lighter color of the inside of jeans transitions nicely with the color of your brogues. 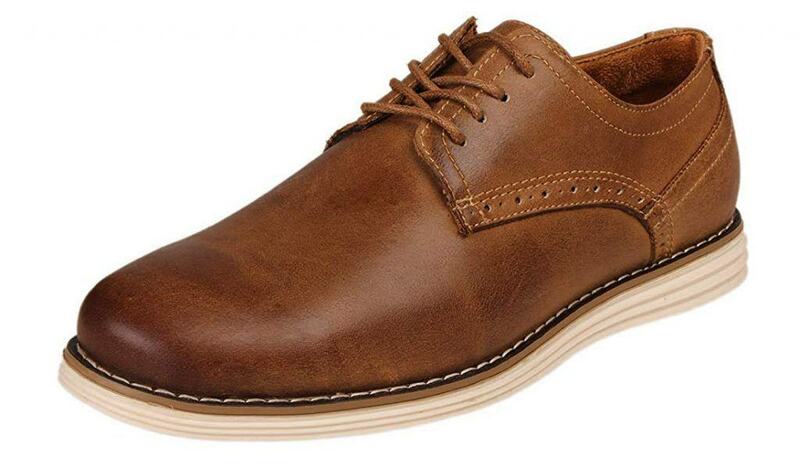 Brogues in the brown color spectrum have a bit of informality about them, which makes them a great match for denim. But they do look best with jeans of darker shades, including black. The derby closely resembles an oxford shoe with one exception: the lacing is sewn on the outside of the shoe and is more noticeable. The lacing also gives the derby a bit more informal appearance than an oxford, which makes it more suitable for wearing with jeans. Derbies look great with smart casual apparel that may even include dress shorts. Formal, elegant, dress – all are suitable adjectives for describing the Oxford. Note: a brogue is a style of an oxford shoe (with the wingtip being a prime example) but stands on its own as a specific type of shoe, at least in the minds of various shoe gurus. Back to the Oxford, however; in general, the sleeker the design, the more formal the Oxford, and the less suitable it is for wearing with jeans. You’ll recognize a monk strap by its bold buckle and it offers a nice, dressy alternative to a lace-up shoe. It occupies a space between the Oxford and derby regarding formality, and it’s OK to wear them with jeans. You can buy them with single or double monk straps. The loafer is a slip-on that one could argue fits under the “casual” shoe heading, as well. While they offer a more laid-back look than an oxford or brogue, loafers (including tasseled loafers) work with dressier clothes – even for in a professional work setting – and jeans. Loafers have a moccasin-like upper, not unlike boat shoes, but have a heel, unlike the moccasin. Who knew there was so much to properly pairing shoes with jeans? 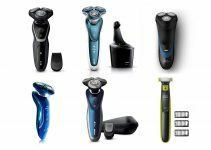 If you’re a well-groomed man who prides himself on always looking his best – whether it’s at a formal gathering or hanging out with friends – then it’s nice to have some guidelines for what shoes to wear with jeans. It’s not all about the shoe. The jeans are an equal partner in this pairing, after all, and must be chosen with the same careful consideration, including before you step into your favorite pair of dress shoes. Jeans are inherently casual but some are dressier than others. While it may sound obvious, dress shoes look best with dressier jeans. Distressed jeans, jeans with holes and tears, jeans of a lighter wash – all are ultra-casual and not a good match for dress shoes. The length of your jeans shouldn’t be too long or short when wearing dress shoes. The length of your pants should rest just on top of the shoe. Jeans with a more tapered fit at the bottom are best; leave the boot cut jeans in your closet. Wear jeans that fit well in the waist and hips and aren’t baggy. Formal jeans should be cut similarly as suit pants, with a nice fit along the thigh and tailored by the ankle (but not too tight). Maintain a nice contrast between the color of your shoes and jeans and not an identical match. Oxford dress shoes look great with just about anything, but perhaps not as great with jeans. Loafers or derby-style shoes work a bit better, however. Make sure there’s a nice balance between your jeans, dress shoes, and the rest of your outfit. One way to do this is by wearing a dress shirt or well-fitted collared button down shirt. The same general rule applies for sneakers as it does for dress shoes: choose your jeans carefully! Slim fit jeans with a straight leg look best with high-top sneakers. Avoid skinny jeans but opt for a more tailored look instead. The jeans should graze the top of your sneakers without covering them up. You can always roll up your cuffs, which isn’t a bad look either. Skinny or straight-legged jeans pair well with low-top sneakers or trainers. Baggier or loose-fitting jeans may engulf or obscure your sneakers, which is a sloppy look to avoid. Wear ankle socks (or even no socks at all) with low tops. Avoid boot-cut jeans. We’re not picking on boot-cut jeans, mind you, but their name says it all, i.e., they’re designed for men who wear boots. If you want to get all 70s retro with your look, combine a pair of sneakers with a pair of flared jeans. Jeans come in a variety of styles, colors, etc., and wearing the right type of shoe for the style of jean is another aspect of looking like a sharp-dressed man or, well, you get the picture. A basic rule of thumb is this: if your jeans are tight your shoes shouldn’t look too chunky or big. Larger-looking footwear may look like a clown’s shoes with skinny jeans, so choose accordingly. A simple, sleek shoe is best, including a slip-on Chelsea boot. Black jeans look great for a variety of occasions, whether you wear them to look dressier for a night on the town for everyday use. Black shoes pair well with black jeans, but you can wear brown shoes as long as there’s a nice balance of color between them and your jeans. Whether your colored jeans are blue or, as just mentioned, black, you can wear black or brown shoes with them as long as there’s a subtle, not overpowering contrast of colors. Socks – Unless you’re wearing loafers (and preferably during warmer weather) or sneakers, you should wear socks with your shoes/jeans combo. Your socks should match the color of your jeans, or one shade darker, and the formality of the occasion. And leave the white tube socks at home, fellas, if you’re wearing dress shoes with jeans. Shirt – Your shirt should look good when paired with your jeans but it shouldn’t clash with the formality of your shoes (dress shoes, that is). A nice T-shirt often looks great with jeans but you should never complete the outfit with a pair of leather dress shoes. A nice way to make your casual shoe/jeans rock is by wearing a lighter weight shirt, such as a T-shirt. Additional top layer – A second upper layer, such as a blazer or suit coat, provides a cool-looking extra piece of the puzzle when wearing jeans and dress shoes. Meanwhile, a white T-shirt and bomber jacket combo look fantastic when wearing casual shoes and jeans. A list of the types and styles of shoes that go with jeans is a long one, indeed. But the wide variety of options made it imperative for us to offer examples of different styles, whether it’s a brogue, sneaker, or sandal. After all, there’s probably no single type of shoe that’s “best” for wearing with jeans. We also took into account the many other factors that go into determining the overall quality of the shoe, from comfort to traction to stability and fit. Solid shoe construction and overall comfort were a must. And, as always, we read the reviews of others, particularly those of customers. We’d love your feedback, too. Do you wear any of the shoes on our list? What type of shoes do you like to wear with jeans? Your comments are always welcomed.